A self-trained chef and food photographer, Angela Liddon has spent years perfecting the art of plant-based cooking, creating inventive and delicious recipes that have brought her devoted fans from all over the world. After struggling for a decade with an eating disorder, Angela vowed to change her diet - and her life - once and for all. She traded the low-calorie, processed food she'd been living on for whole, nutrient-packed vegetables, fruits, nuts, whole grains, and more. The result? Her energy soared, she healed her relationship with food, and she got her glow back, both inside and out. Eager to share her realization that the food we put into our bodies has a huge impact on how we look and feel each day, Angela started a blog, Oh She Glows, which is now an internet sensation and one of the most popular vegan recipe blogs on the web. This is Angela’s long-awaited debut cookbook, with a treasure trove of more than a hundred mouth-watering, wholesome recipes – from revamped classics that even meat-eaters will love, to fresh and inventive dishes – all packed with flavor. From rich and hearty entrees like the Crowd Pleasing Tex Mex Casserole and 15-Minute Creamy Avocado Pasta to decadent desserts such as Chilled Chocolate Espresso Torte with Hazelnut Crust and Angela’s famous Glo Bakery Glo Bars, there is something for everyone. 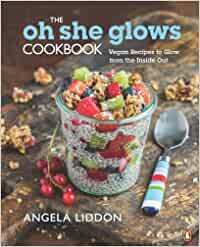 The Oh She Glows Cookbook also includes recipes free of common food allergens – with more than ninety gluten-free recipes – and many recipes free of soy, nuts, sugar, and grains, too! Whether you are a vegan, “vegan-curious,” or you simply want to eat delicious food that just happens to be healthy, this cookbook is a must-have for anyone who longs to eat well, feel great, and simply glow! Start reading The Oh She Glows Cookbook on your Kindle in under a minute. Angela Liddon is the writer, photographer, and recipe developer for Oh She Glows , the web's destination for healthy vegan recipes, which receives over six million page views a month. She also has an M.S. in social-personality psychology, and enjoys helping others find happiness and health through a plant-based diet. Angela and her husband, Eric, live in the greater Toronto area with their quirky cat, Sketchie. 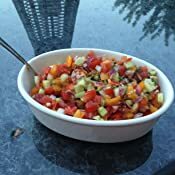 J'ai acheté ce livre il y a quelques années lorsque je suis devenue vegetalienne (un des premier que j'ai acheté) et je n'ai pas été déçue... les recettes sont accessibles et délicieuses! Malgré ma grande collection de livre de recettes végétaliennes, ça reste mon préféré et celui que je consulte le plus souvent!! 5.0 out of 5 starsKeep it on my counter - used weekly! I received this cookbook as a Christmas gift in 2015, and now I am purchasing two more to give to others this Christmas. I am not vegan, but I enjoy eating healthy and I love cooking. 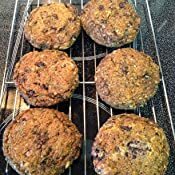 I'll admit that I was slightly intimidated by some of the recipes (particularly since some of the ingredients I did not use), but the author makes it very easy and is clear in her instructions. 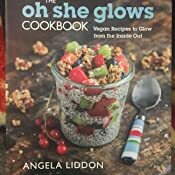 To date, I have prepared about half of the recipes from Oh She Glows, many of which have become staples in our household. Our favourites have been the overnight oats, many of soups, potato skins, and the pasta sauce. It's very easy to substitute in non-vegan items (e.g. chicken/chicken broth), but it's been fun making dinners without meat products and finding that we're quite satisfied. I cannot recommend this cookbook enough!!! 5.0 out of 5 starsThank you Angela Liddon! You've got me on the right track! I used to think vegan diets were very blah! This book changed my mind. The recipes are really diverse and very tasty. Simple to prepare too! I'm not a true vegan yet because I still have a few steaks in my freezer. However, I have reached the point where I can really feel a change taking place. No more digestive problems...no uncomfortable bloating after meals...no,constipation. It's so rewarding to have a really flat belly for the first time in years! On a scale of 1 to 10 I think I've reached an 8 as far as my overall sense of well-being is concerned. Maybe I'll just donate the meat in my freezer to the food bank! Easy, delicious vegan recipes! I like that this cookbook doesn't rely a lot on pastas, breads and other carb-heavy ingredients to make up for the lack of meat. They are actually very healthy and delicious. My favorite so far is the cheese nacho dip (I've made this so many times!!) and the sweet potato/black bean enchiladas is amazing. I'm working my way through the cookbook and so far so good! Haven't come across a bad recipe yet. I purchased this book in December 2016 because my daughter became vegan and I was struggling to provide nutritious meals. Now it's almost 2019 and this is my go-to recipe book for the whole family. 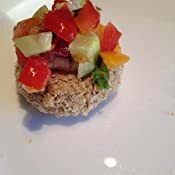 I'm not vegan myself but I just love cooking up these recipes....THEY ARE DELICIOUS! I just finished making the African Peanut Stew and it was so good I just had to write this review! 4.0 out of 5 starsExcellent pictures. Easy to find the ingredients, clearly written. Easy to find the ingredients, clearly written. It warns you when you should pre-prepare your ingredients (recipe where you need to go quickly to add the items so everything should be pre-measured and ready to go). Recipes turn out well, and are very nice tasting. She includes ideas about which dishes work well together in a meal, and ideas for side-dishes/accompanying items for serving. Excellent pictures, and there are many of them, so you know what you are aiming for while you are working.